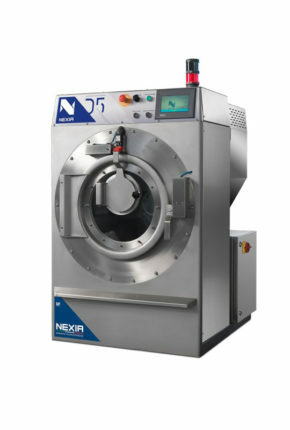 Nexia ND 420C centrifugal washing machine frontal type with open pocket drum, is designed specially for wash- ing and dyeing treatments for ready-made garments.Nexia ND 420C features a high speed dyeing system which reducesthe liquor ratio and prevents any possible abrasion or knotting during the operation. 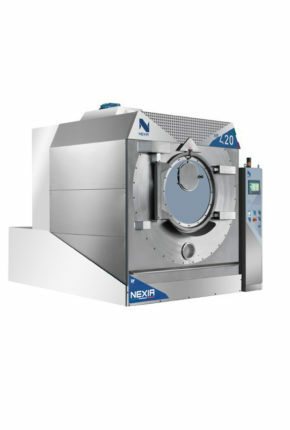 The Nexia ND models are equipped with customized color kitchen which allows for a perfect introduction of dyes and chemical products, guaranteeing an excellent repeatability of the dyeing recipes.The supporting structure of the machine is robust and solid. 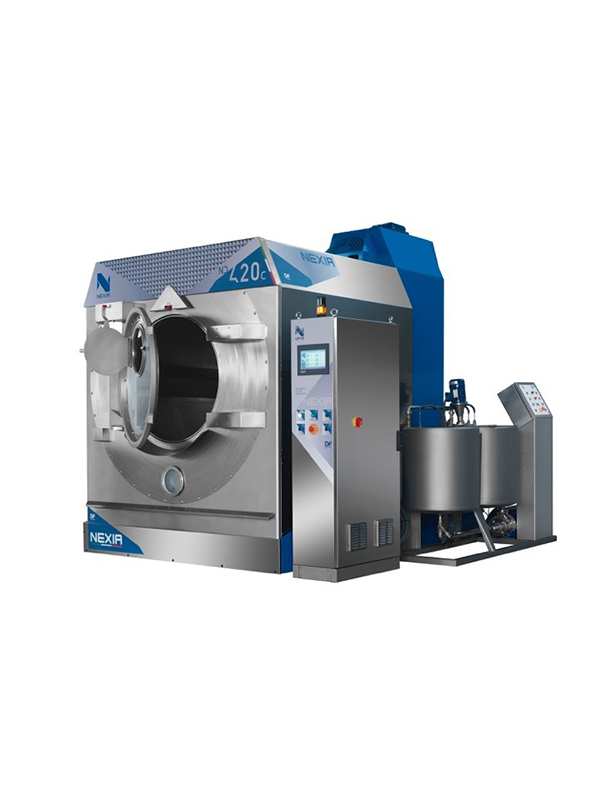 The main parts in contact with the dyeing bath, are completely made of AISI 316 stainless steel.The drum is made entirely of AISI 316 stainless steel polished to a complete shiny finish. 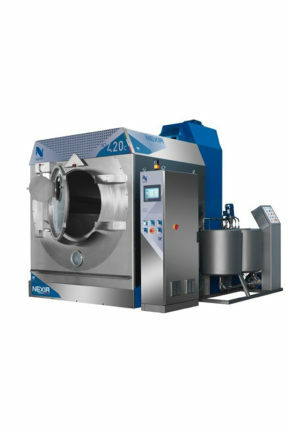 The support shaft is particularly thick to resist machine stress during the spinning cycle and is made from a single metal casting to guarantee a long machine life. 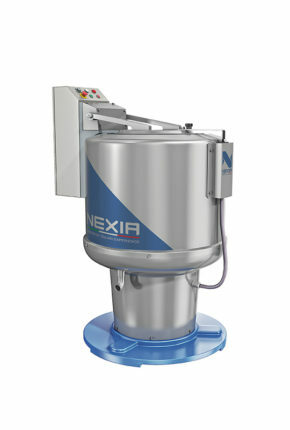 The machine is fitted with electronic self-balancing to control the stability of the machine during the centrifugal process. Manually-operated inspection porthole for sampling located in the main door. 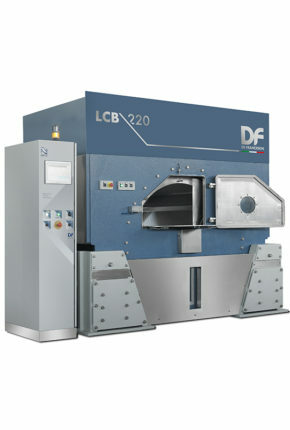 Indirect heating and cooling complete with stainless steel pneumatic valves for steam inlet and outlet. 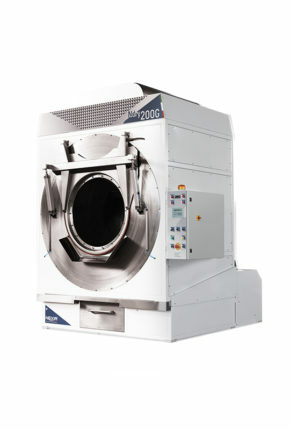 Variable operation speed controlled by inverter from 2 rpm to 550 rpm. Electric control panel completely from stainless steel. Forward tilting system to simplify the unloading operation. 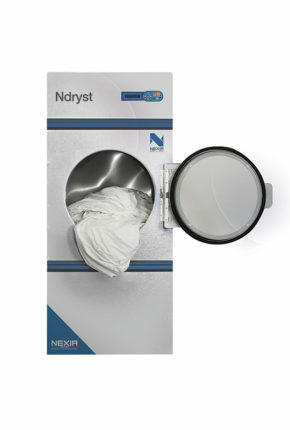 Wide external automatic door, with large thick tempered glass window, which allows for a clear view of the garments during the dyeing cycle. 10” Touch-Screen operator panel for controlling all the machine functions and the cycles for manual and automatic operations. 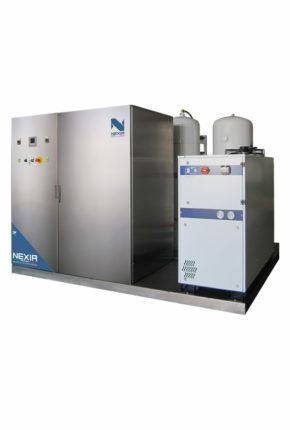 Bath recycling system with high pressure and variable speed. Modem connection for remote assistance system. 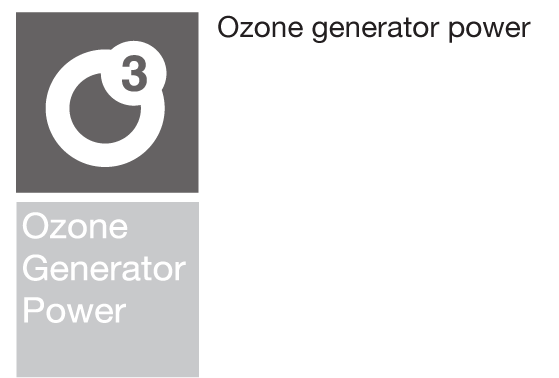 Air conditioning system for the electric panel. 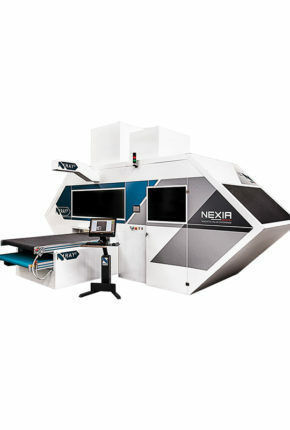 Are you interested in Nexia ND C?